Rectangular flat tile, decorated with white slip. 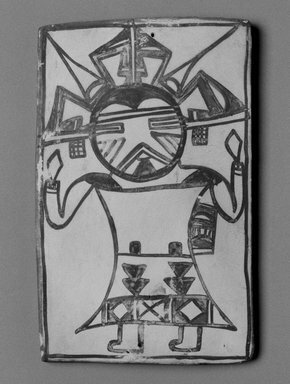 Full-sized figure design in shades of black, ochre, brown and dark brown covering entire tile. Black border. Made with a mold. CONDITION: Hole in center of figure, two additional holes on upper left side of tile.